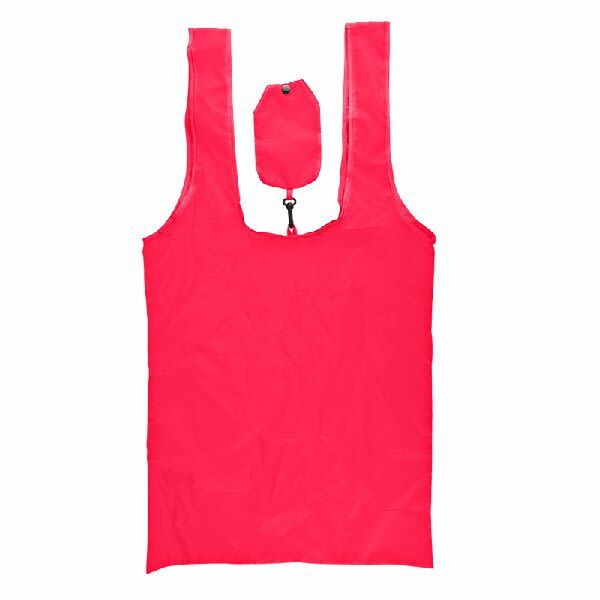 This foldable grocery tote bag is essential for those unexpected stops at the market. 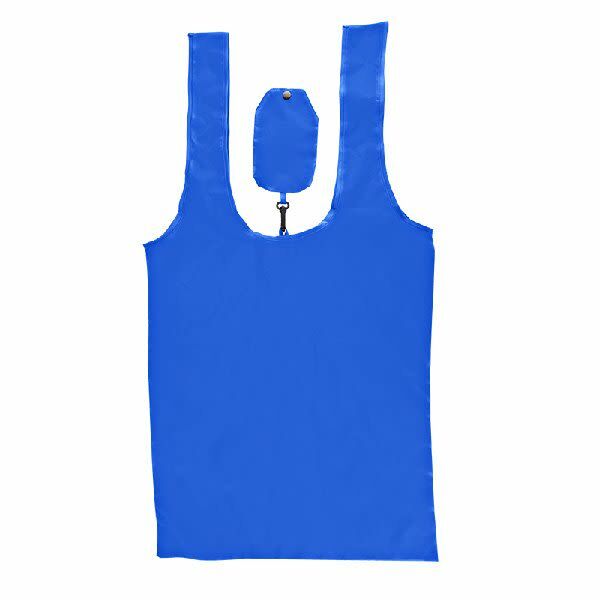 This jumbo sized reusable bag folds to a small size to store in car or purse. 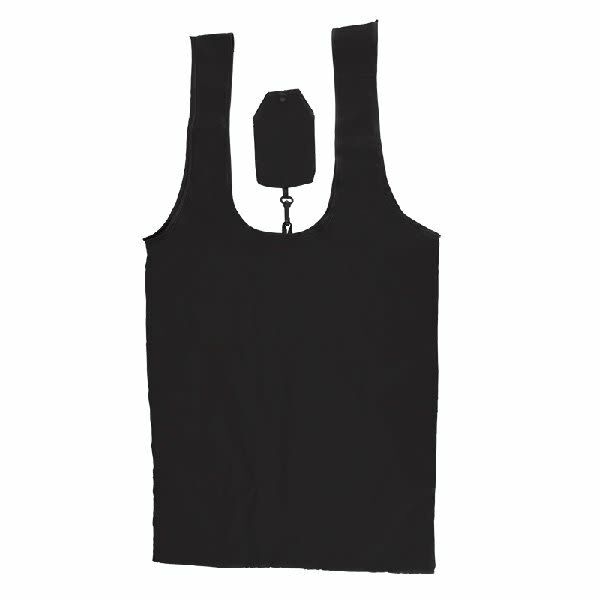 Comes with a matching 3" x 5" pouch with black plastic snap closure and black mini plastic snap hook that attaches to bag. 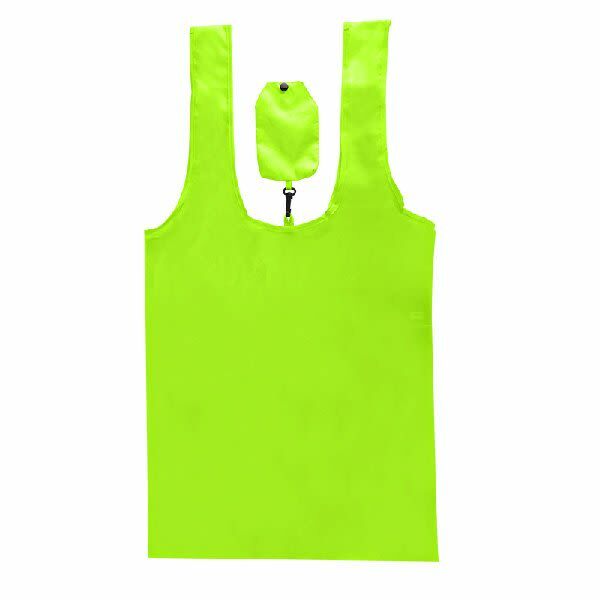 Made of 190T Polyester and designed for over the shoulder carry with 12"L shoulder straps. 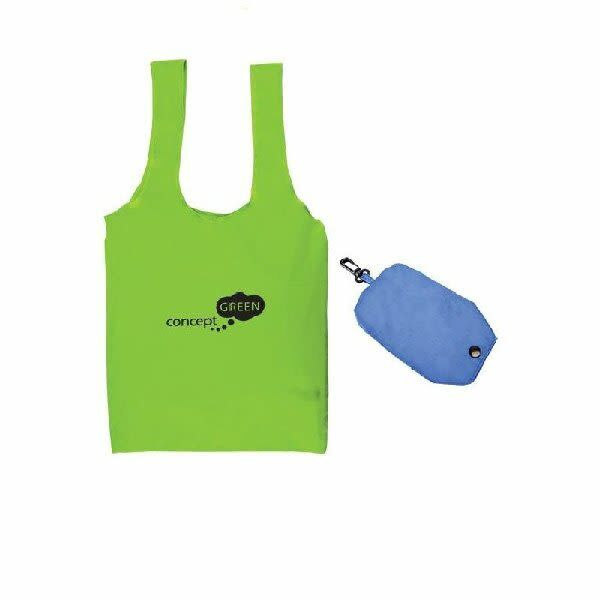 One color, one location imprint included in the pricing. Please call for details.